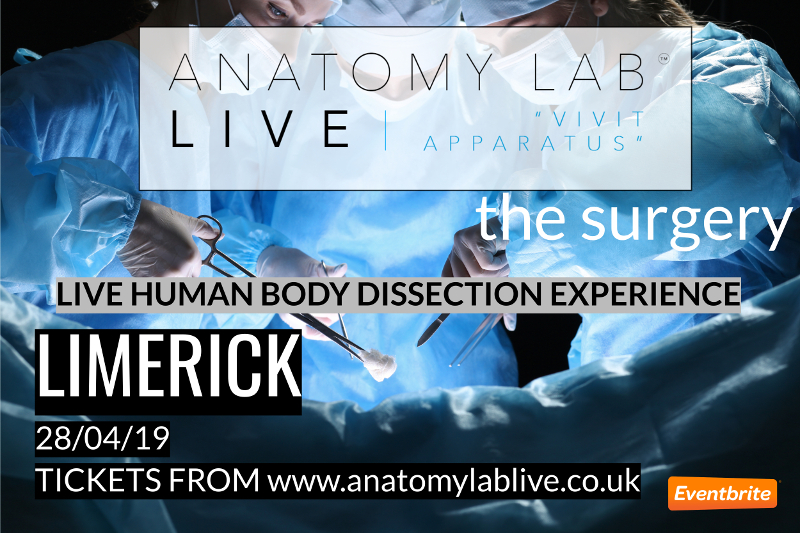 Anatomy Lab LIVE 2019 The Surgery is LIVE, arriving in a town near you we're giving you a unique chance to experience and attempt live surgery as you learn the intervention techniques around treating pathology and disease. As seen as BBC Dragons Den. 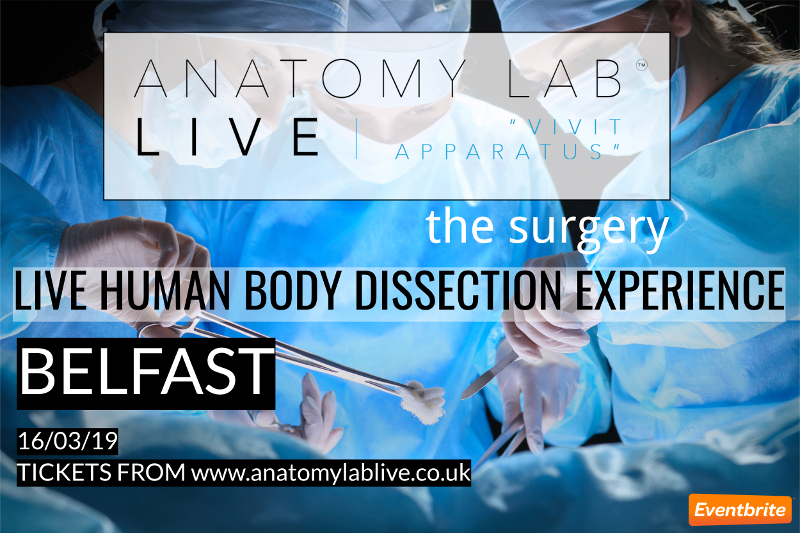 The 2019 experience will focus on anatomy and physiology through dissection and corrective surgery. After your two course evening meal the drapes will go up (literally) and a fully working state of the art operating theatre will reveal the patient. Your dining table will extend to become a draped theatre table as you call for "suction" and we begin examining and repairing the delicate organs structures using the real surgical equipment. A focused evening event built by medical academics to strengthen understanding of how the human body works. 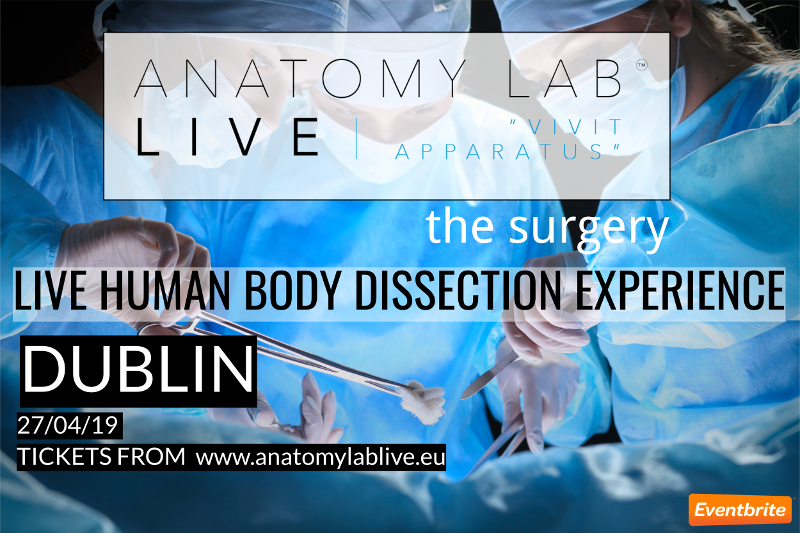 Whether you're a beginner, undergraduate student or practicing professional our hands on dissection will teach and refresh everything you need to know about human body. ICoP Member Discount - login to access discount details on this page. Previous post KinderMedic Beag - paediatric care workshop, Cork, 14th Sept.